Lenovo A6000 Plus is announced by the company in Bangalore for the Indian markets. The price of A6000 Plus is yet to be announced by the company. The handset will be offered in white, black, yellow and red colors. 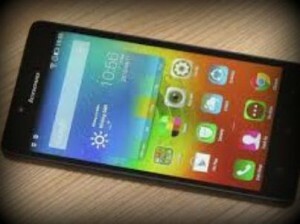 Bangalore: Lenovo A6000 Plus is the handset recently announced for the Indian markets. It sports 5 inch display and the resolution is 720 x 1280 pixels. It is powered by quad core Qualcomm Snapdragon 410 processor with clock speed of 1.2 GHz. The processor is coupled with 2 GB RAM for smooth handling of multi tasking and there is 16 GB internal storage. Those who find it insufficient can utilize micro SD to add extra storage. A6000 Plus comes equipped with a powerful 8 megapixel camera at rear and there is also 2 megapixel front facing camera on board. It comes out of the box with Android 4.4 Kitkat operating system. Connectivity features of the handset include WiFi, Bluetooth and 4G LTE. It has 2300 mAh battery under the hood. Lenovo A6000 Plus is a mid range smartphone and the highlight of the device is the 4G LTE connectivity. This has upgraded specification compared to Lenovo A6000 that was launched in India earlier. This entry was posted in Launches, Tech on April 16, 2015 by Rakesh.